It's a horrible dichotomy. Just a few days ago, Cyclone Idai tore through southern Africa, causing widespread destruction across Mozambique, Zimbabwe and Malawi. Hundreds of thousands of people, if not millions, have been affected, entire communities have been ripped apart and the official death count is in the hundreds and rising, daily. Humanitarian efforts are under way to help all impacted. As the cyclone hit, South African lensman Alan Van Gysen was in Mozambique, capturing the swell that was being produced as that force spun off the coast. And while we as surfers celebrate the advent of storms, it's impossible to flick through images of that session and not feel conflicted in relaying the surf-related positives. 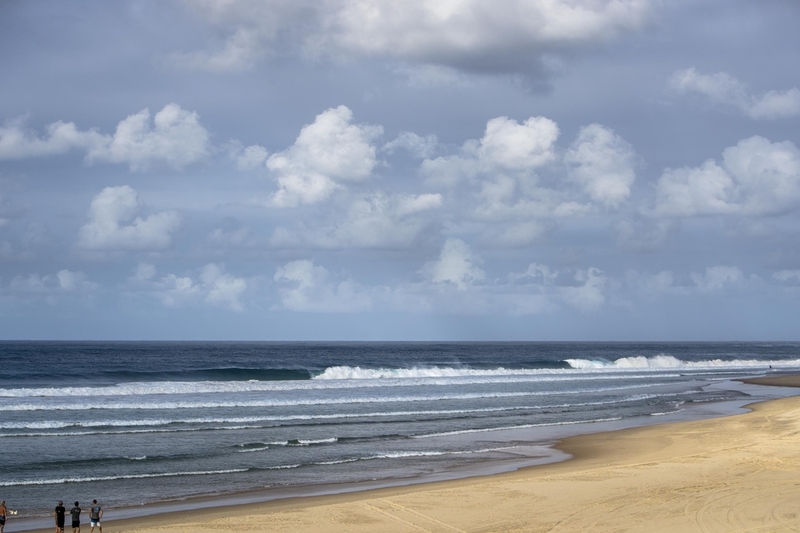 AVG says the swell came good, of course, but a few hours post-session, catastrophe hit, roofs ripped from houses, severe flooding; it is a crisis situation that needs all the help as possible. You can donate to worthy causes taking on the relief effort by going to CARE HERE or Red Cross International HERE. Here's the full report from Alan, in his own words. “I think this is the biggest natural disaster Mozambique has ever faced. Everything is destroyed. Our priority now is to save human lives,” says Mozambique’s environment Minister, Celso Correia. 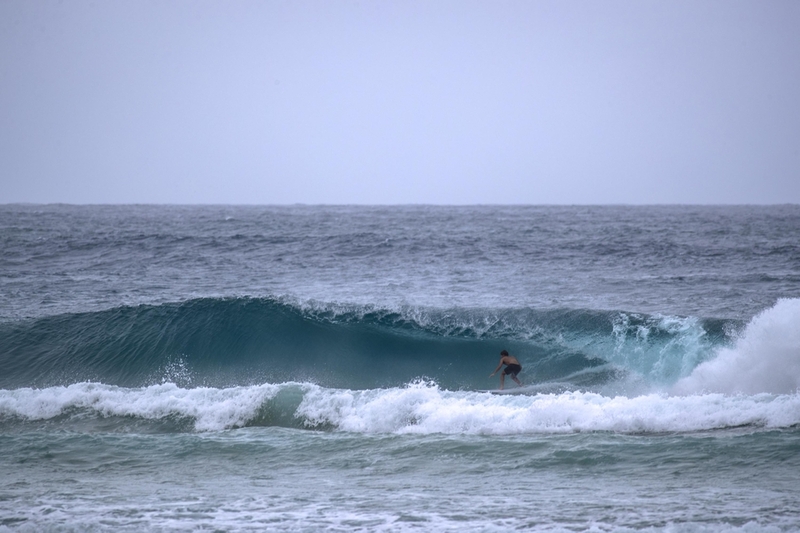 It’s an uncomfortable truth, and one many of us struggle with; while temperate weather is what everyone else lives for, cyclones (any storm) produces the very thing we as surfers live for – waves. Harry Bryant was in Africa for another project and jumped at the opportunity to visit Mozambique and its famous right hand points. We are probably the only people on earth who welcome one of our planets greatest forces, albeit just for the aftereffect. We’re not psychotic, and we certainly don’t want anyone to get hurt or lose their homes - in fact some of us pray before and after for those in peril, and some go out of their way to help when disaster strikes at home or abroad by getting involved in relief work or by donating, but still, the fact remains that we as a community wait and watch for wave-generating systems. And when we see one developing on a synoptic chart we unfortunately - but truthfully, get excited and do all we can to get as close as possible to spots in affected regions where the best waves might be found. ‪These are the photos done by our team in #Beira, #Mozambique. Almost everything is destroyed by #CycloneIdai. International Federation of Red Cross and Red Crescent Societies released its Emergency Fund as an initial response effort for about 7,500 people. More resources may be needed soon. Sometimes we find ourselves in harms-way too when on the chase, like Dion Agius and company in 2017 during cyclone Dineo to the same wave-rich zone in the Inhambane province in Mozambique, when that tropical storm made landfall and ripped off the roof of the house they were in and others around, and flooded the town. Experiencing firsthand the power and terror of these storms you’re left with a deep sense of respect, awe and sympathy for those who have to face this year in and year out. And it also makes you think and focus a lot more on helping, giving back and serving those affected by disastrous storms like this one. You can see Idai wedged between Madagascar and Mozambique in our Southern Indian Ocean swell chart. The spinning vortex that would be named Cyclone Idai had shown up abruptly on forecast models a few days before the predicted landfall on Thursday March 14. 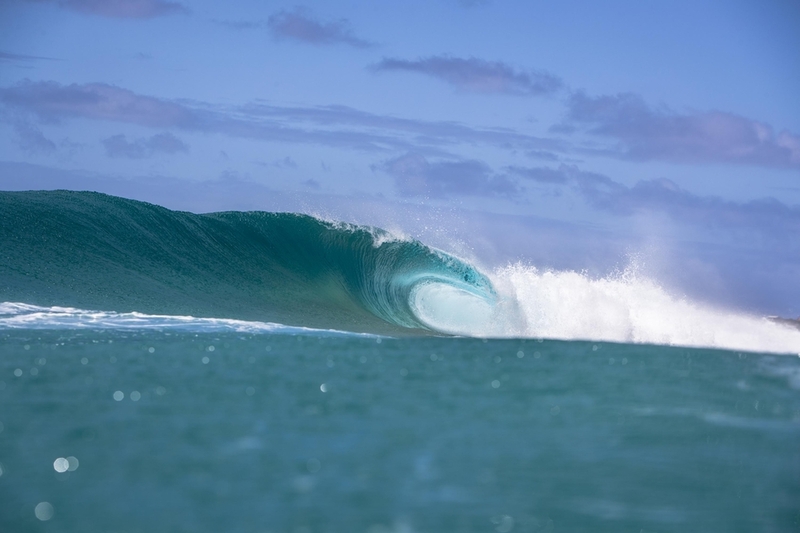 Unaware of the level of destruction and disaster this would leave in its wake a small, core crew of surfers took a gamble on the unfavourable wind prediction but perfect swell and committed to a 16-hour car drive to join local surfers at this rare sandspit. The end section of this amazing wave reflects the true power and chaos of its cyclonic creator. 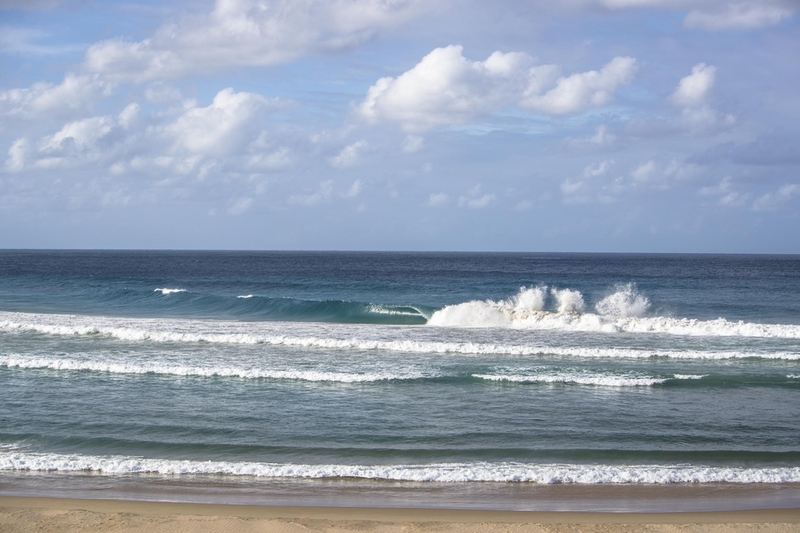 On the morning of Wednesday March 13, the sea was already tossed up and the waves well overhead. The wind wasn’t perfect, but as the tide turned the powerful waves being sent perpendicular to the bar started to grind down the line in perfect cylindrical fashion. The small crew made the most of the window and traded fast, racing tubes from take-off to kick-out while rain-squalls and dark-clouds overhead were being sucked into the eye of cyclone Idai a few hundred kms north near Beira. 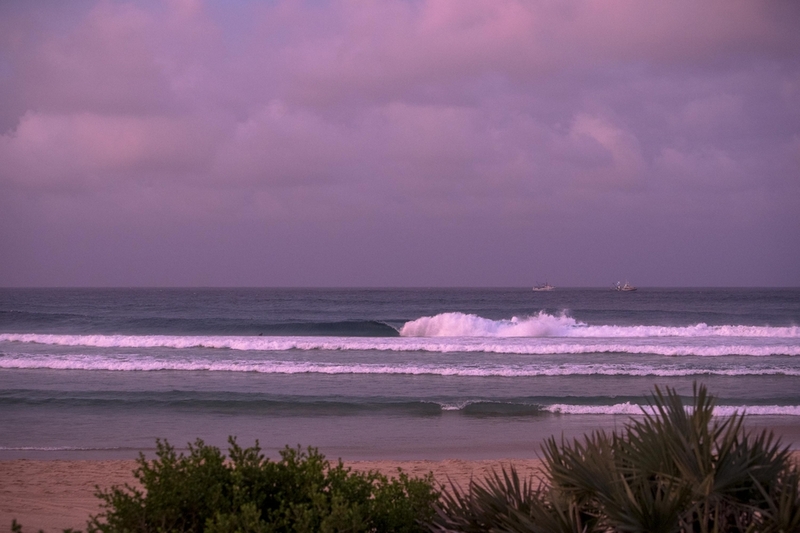 That evening the swell peaked and the wind for some reason dropped completely, and for about an hour on dark it was as good as sandpits gets. An empty wave comes through deceiving serene and seemingly detached from the chaos further north in Beria. 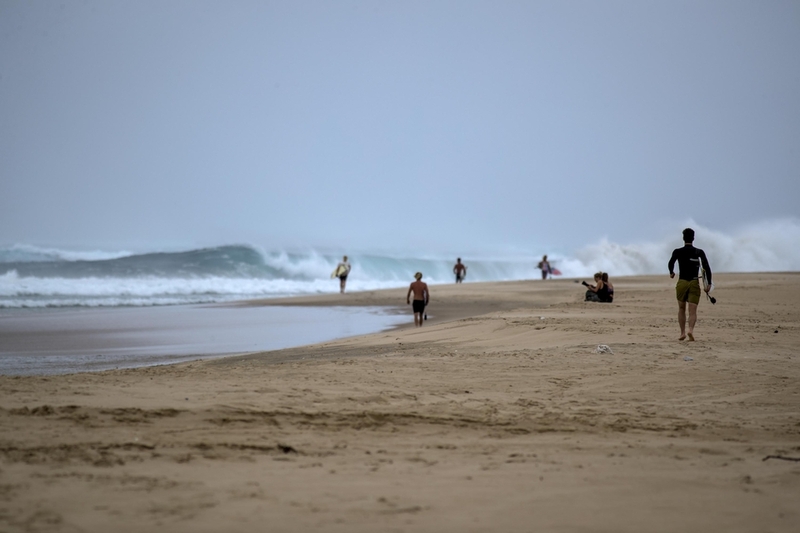 The following morning, while we sat watching an unruly ocean settle itself for another mixed but ultimately good surf day on the turn of the tide later that afternoon, Beira in the north was hit by the full force of cyclone Idai. Bringing flash floods six meters deep in some areas and ferocious winds of up to 177km an hour (106 mph), it hit the central port of Mozambique Beira the hardest destroying 90 per cent of the city according to the International Federation of Red Cross and Red Crescent Societies (IFRC). Later that day and into Friday, it continued wreaking havoc through Mozambique, Malawi and Zimbabwe. Across three countries whole cities flooded, dams burst, homes and bridges washed away and roads were rendered inaccessible. 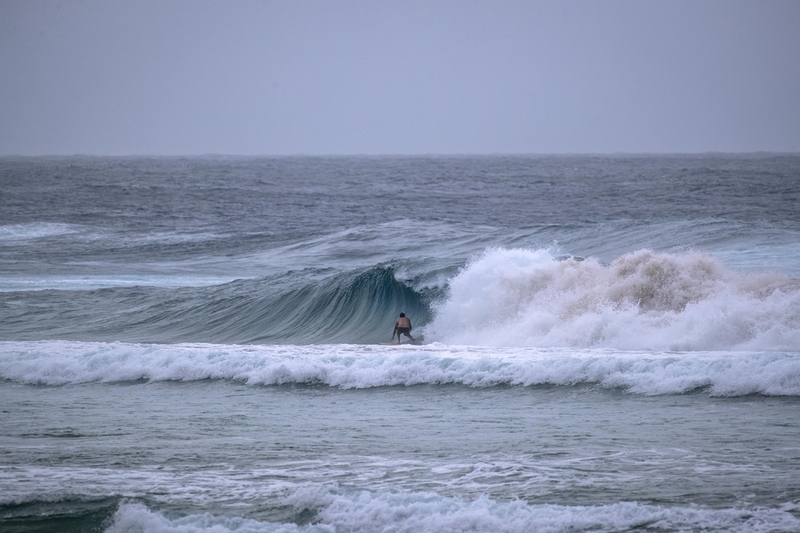 Davey van Zyl sets up for one of the few, “perfect” tubes during cyclone Idai which stayed wide and open from start to finish. At the time of publication, Cyclone Idai which hit south east Africa is feared to have claimed 1,000 lives between Mozambique, Malawi and Zimbabwe, and has displaced 850,000 people [this number is still climbing] in urgent need of shelter, food and other amenities. The effects of the disaster which Mozambique’s minster of environmental affairs said “…is the biggest natural disaster Mozambique has ever faced,” has even reached South Africa which energy supplier Eskom blames for its current phase 4 load-shedding. “Our priority now is to save human lives,” says Celso Correia. Our thoughts and prayers go out to everyone affected by Cyclone Idai. The lineup from atop a restaurant who's roof was torn completely off when cyclone Dineo hit in 2017 and left the entire building buried beneath three meters of sand. Logan Eales committed to the experience of cyclone chasing in more ways than one. Brendon Gibbens, Harry Bryant, Chad du Toit and company reflect on the true power of cyclone on the long walk back up the point.